The RFLKT is a bike computer designed for use in conjunction with your smartphone. It connects to your smartphone and “reflects” the data from your favourite cycling app, enabling your phone to be safely stowed in your jersey pocket or saddle bag. This setup guide is intended to assist with installing your RFLKT on your bike and pairing to the Wahoo Fitness app. NOTE: Out of the box, the RFLKT will come attached to bar mount. Place the bar mount around the handlebars. Secure it with the screw provided in the box. If the bar mount is too big for your handlebars, use the black shims found in the box to decrease the diameter of the mount. Remove the RFLKT from the bar mount using the metal Wahoo tool provided in the box. At the top of bar mount there is a slot to place the tool. Push down on the tool to pop the RFLKT out of the mount. A tire lever or a flat head screwdriver will also work. Place the curved rubber rectangle on your stem. Then place the stem mount on top with the slot, facing front towards the handlebars. Attach the mount to the stem of your bike using the right and left hooks with the rubber band provided. If you choose to use zip-ties to secure the mount, use the top and bottom hooks to secure the mount. Please note that the stem mount will not fit oversized stems using the rubber band. To use with an oversized stem, simply attach using zip-ties. After the mount is secured, snap your RFLKT into the stem mount. The RFLKT is now ready for the next stage: How to Pair your RFLKT to the Wahoo Fitness app. Wake up your RFLKT by pressing any of the four buttons on the device. The RFLKT will now be searching for a connection. The RFLKT will now ask if you are trying to connect to the device. Press the corresponding button to confirm on your RFLKT display. Choose the workout profiles you would like your RFLKT to be active for (ex. Cycling & Indoor Bike Trainer). Your RFLKT is now set up and ready for action. To use your RFLKT, start a workout with one of the profiles you paired it with. The Wahoo Fitness app will remember this pairing in the future. You simply need to wake up your sensor and start a workout to begin recording data! Make sure the device has Bluetooth turned on so it can communicate with your RFLKT. Press one of the buttons on the RFLKT to wake it up. Make sure the RFLKT is synced to your device. It will appear in the list of Linked Sensors for that workout profile with an indication of signal strength shown on the far right when it is connected to your device. Select the green “Start” button to begin the workout. You can now put your device in your jersey pocket or saddlebag and start your ride. Information gathered from your sensors will now start to be displayed on your RFLKT. NOTE: Alternatively, you can start your workout by pressing Button 2 (default setting) on your RFLKT when you are ready to ride and your device is already safely stowed. Make sure that the Wahoo Fitness app is running and set to the New Workout page so the RFLKT can initiate a new workout when ready. These buttons can be used as per the default, adjusted to suit, turn the backlight on/off or change your music tracks or volume levels. Select the RFLKT from the list of saved sensors. Select the workout profile you wish to edit. Select “Buttons” from the options at the bottom of the screen. Select which button you wish to modify and adjust accordingly. Exit the Saved Sensors menu when finished making changes. Summary: Speed, distance, cadence, heart rate & workout running time. Speed: Speed, average speed for the workout & average speed for the current lap. Heart Rate: Current heart rate, average heart rate for the workout & current HR Zone. Lap Times: Lap count, current lap time & previous lap time. System Info: Current time of day, current workout state, battery level for the iOS device. NOTE: Actual data displayed is determined by what sensors are synced for that workout. Select the “+” icon from the centre right side of the screen. Select which pages you wish to add and it will adjust accordingly (provided there is sufficient memory). Alternatively, swipe up and select “Delete Page” to remove unwanted screens. To end your workout, simply press Button 2 (top right as per the default) on your RFLKT to pause the workout from the RFLKT. If selecting from within the Wahoo Fitness app, you can select the red “Pause” button. From the Wahoo Fitness app you can now select the red “Stop” button and either a) Discard Workout b) Save Workout or c) Return to Workout. If you elect to finish or discard the workout, the RFLKT will stop receiving data as soon as you end the workout. After 90 seconds, the RFLKT will go to sleep automatically. Select the green “Play” button to open a new workout. * Press one of the buttons on the RFLKT to wake it up. Make sure the RFLKT is synced to your device. It will appear in the list of Linked Sensors for that workout profile with an indication of signal strength shown on the far right when it is connected to your device (button located in the top right corner). NOTE: Alternatively, you can start your workout by pressing Button 1 (default setting) on your RFLKT when you are ready to ride and your device is already safely stowed. Make sure that the Wahoo Fitness app is running and set to the New Workout page so the RFLKT can initiate a new workout when ready. If a firmware update is available for your sensor, the Wahoo Fitness app will now prompt you to proceed with performing an update using the Wahoo Utility app. If you do not, the update may be performed later. The free Wahoo Utility app is required to perform firmware updates and is available from the Google Play Store. Open the Profiles menu (icon located top right corner). Select a workout profile associated with the RFLKT. Select “RFLKT configuration” from the list of pages. Swipe the menu left to display “Default Buttons” from the options at the top of the screen. Select “Default Buttons” to open the customisation menu. Exit the menu by using the Back button when finished making changes. Select “Pages” from the options at the top of the screen. Select which page you wish to modify and adjust accordingly. Add a new page by selecting the plus “+” icon in the top right corner. To end your workout, simply press Button 1 (top left as per the default) on your RFLKT to pause the workout from the RFLKT. If selecting from within the Wahoo Fitness app, you can select the red “Pause” button. From the Wahoo Fitness app you can now select the red “Stop” button and either a) Discard b) Save or c) Cancel. Select “Test Bluetooth 4.0 Sensors”. Make sure you have Bluetooth turned on. Select “RFLKT”. The Wahoo Utility will now try to connect to the sensor. Activate the RFLKT by pressing any one of the four buttons and display the “searching” screen. When the sensor is detected, the RFLKT will now ask if you are trying to connect to the device. Click the corresponding button to indicate “Yes” on your RFLKT display. The Wahoo Utility should now connect to your sensor & display information regarding the firmware version and confirm connectivity. Still having trouble? 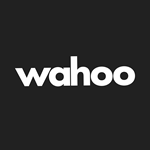 Contact Support for more information: support@wahoofitness.com If you use the Settings>Info+Help>Send support email function from within the Wahoo Fitness app it will attach a log with your query to better help us answer your questions. Reset your RFLKT by pressing and holding the top two buttons on your RFLKT for 6 seconds. The RFLKT will now power off and restore to the factory default settings. Press any button on the RFLKT and the screen will show the "searching" screen to either restart the pairing process or re-sync with your device. Pair or sync your RFLKT with the Wahoo Fitness app again. No saved workout data will be lost by resetting the RFLKT. Still having trouble? Contact Support for more information: support@wahoofitness.com If you use the Settings>Info+Help>Email Us function from within the Wahoo Fitness app it will attach a log with your query to better help us answer your questions. Using a small philips head screwdriver, remove the screws securing the back casing of the device. Replace the dead battery with a new CR2450 coin cell battery. Replace the screws, making sure the black rubber O-ring is seated properly in the casing before tightening. The RFLKT will not be water resistant if missing or seated improperly. Whether you are cycling to work or training for a century, the RFLKT works with popular cycling apps.